Skoda Karoq - Karoq & Roll! 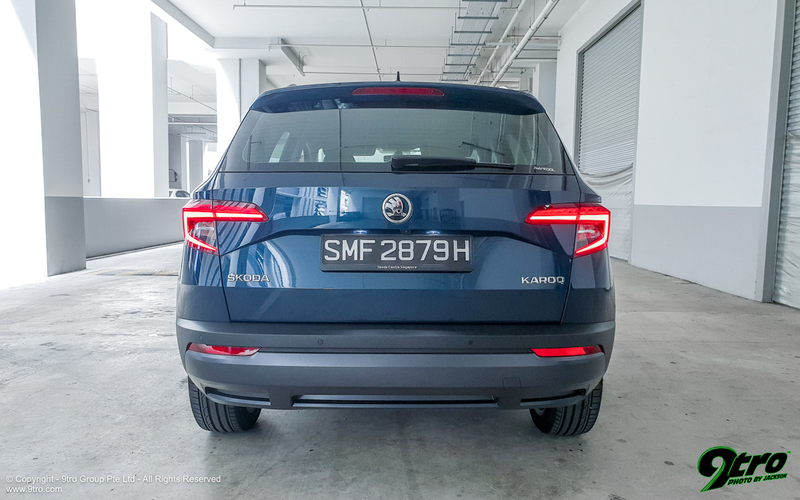 Skoda joins the compact crossover fray with a exceptionally strong case. Singapore - Compact crossovers are still the rage and Skoda is the latest in a very long string of car makers spanning European and Asian car makers to offer an option to tickle the fancy of potential car buyers. The Karoq is the successor to Skoda’s Yeti having lost its somewhat Euro-van like stance and adopting the modern Skoda design cues (think: compact Kodiaq). Seeing that Skoda is part of the Volkswagen family, the new Karoq rides on the same platform shared with the VW Tiguan and Seat Ateca. 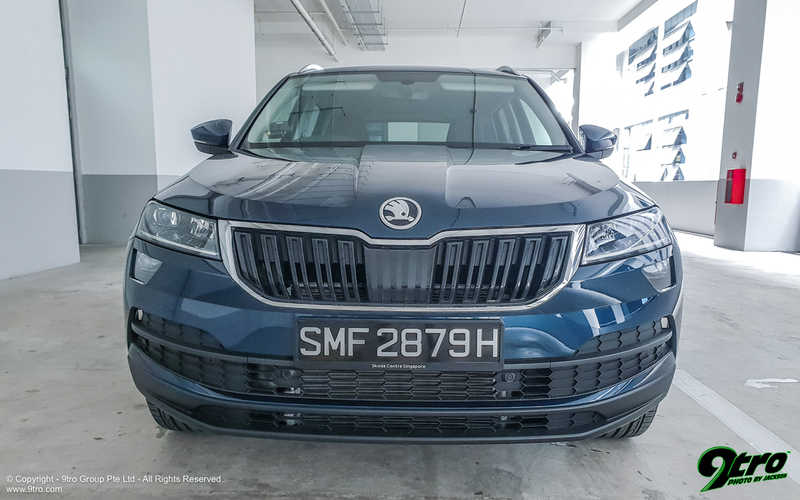 Thankfully to differentiate the Karoq from the other two, Skoda has opted to make it a little smaller than the Tiguan and more comfortable (i.e. less sporty) than the youthful Ateca. 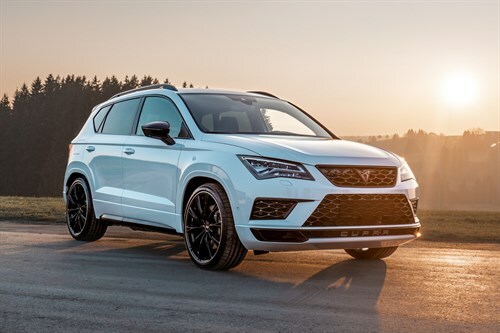 ABT Seat Cupra Ateca26 Nov 2018Tuner pushes the Spanish crossover to its limits! 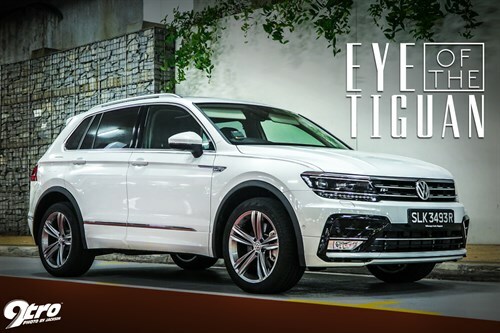 Volkswagen Tiguan – Eye of the Tiguan01 Mar 2017Could VW’s all-new medium crossover be the brand’s second wind? 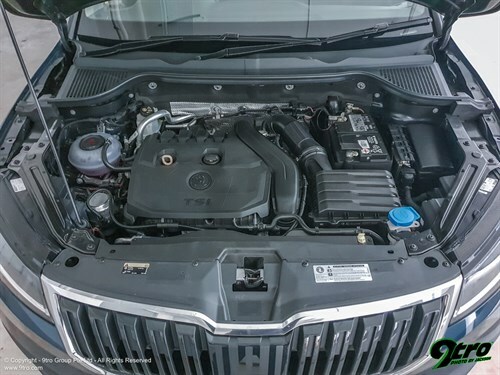 On our island the Karoq is only available with a turbocharged 1.5-litre TSI engine paired to a seven-speed DSG gearbox. Producing a decent 148 horses with 250Nm of torque, the front-wheel driven Skoda will do the 100km/h dash in nine seconds flat and onwards to a top speed of 203km/h. Out and about, the Karoq delivered punchy performance in a refined manner, there’s plenty of pull from the get-go so you don’t really have to stomp on the gas. Kudos to Skoda too for doing a magnificent job on the suspension setup as the Karoq smooths out even the harshest of roads with relative ease leaving the cabin in absolute serenity. 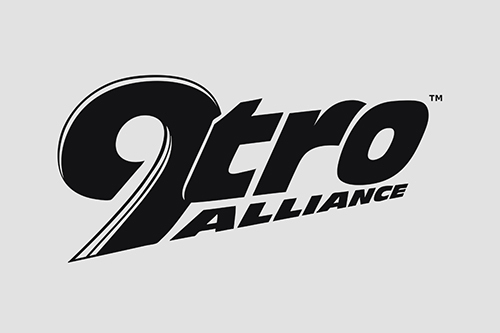 You probably won’t notice this till you have driven one of the similarly priced Asian competitors whose ride quality will even jolt your organs. 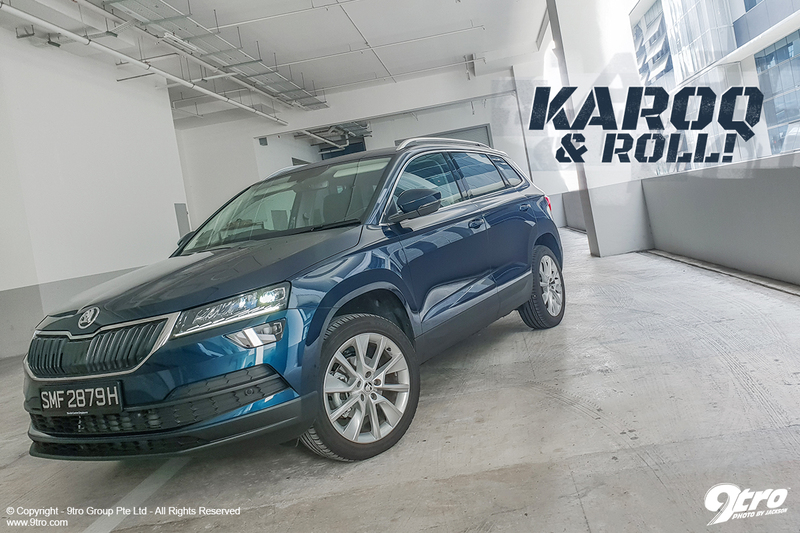 Getting up to highway speeds is where the Karoq’s ride quality gets even better, making it the ideal long distance companion. Skoda has clearly done their homework and positioned the Karoq right smack in between the Tiguan and Ateca, a middle ground between comfort and sportiness to put it simply. The Skoda might have more bodyroll than the driver-focused Ateca but its still more agile than the bigger and heavier Tiguan. There’s a natural feel to the Karoq’s steering (pretty rare in today’s overly electrically-assisted drives) plus it gets progressively heavier too as you pile on the speeds. 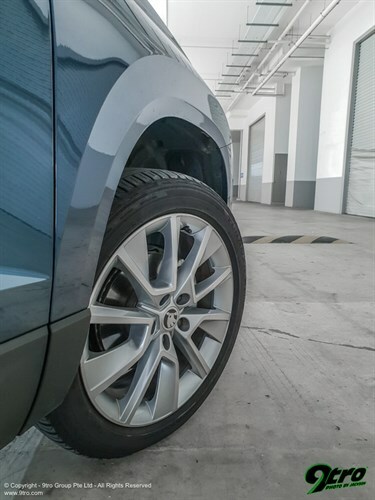 Turn-in is pretty sharp too allowing you to flow through bends without much thought - just remember you are in an elevated vehicle not a hot-hatch so the laws of physics still apply. 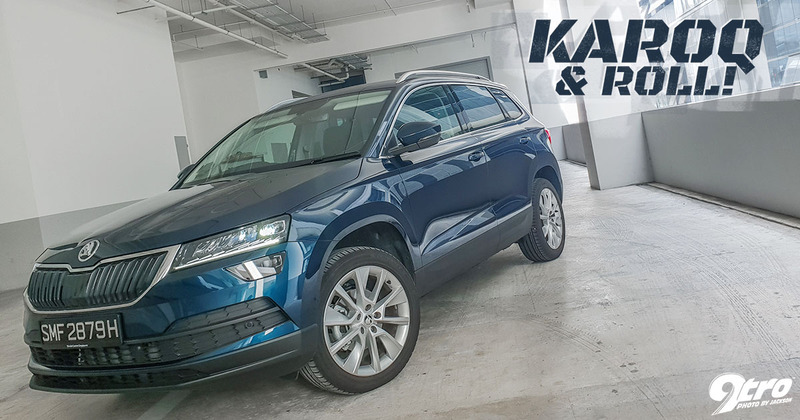 The VW seven-speed dual-clutch transmission applied onto the Karoq is lightning quick and smooth as silk on the shifts as with all other applications within the family, so no complaints here. 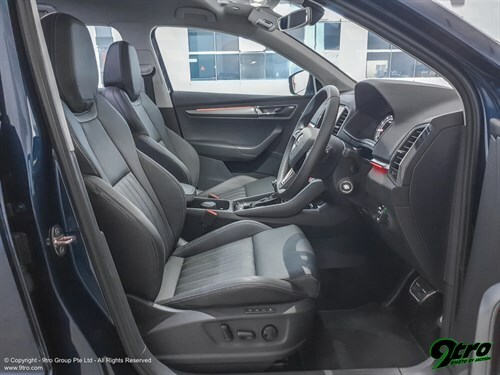 Moving onto the cabin quality, the driver get’s an electrically-adjustable seat for maximum comfort regardless of your build, the steering wheel too can be adjusted for reach and rake. The seats on a whole offer up good support with a relatively high seating position that allows you to literally walk straight into your seat without having to climb up or bend down to get in, the view out is impressive too thanks to thin body-pillars big side mirrors. 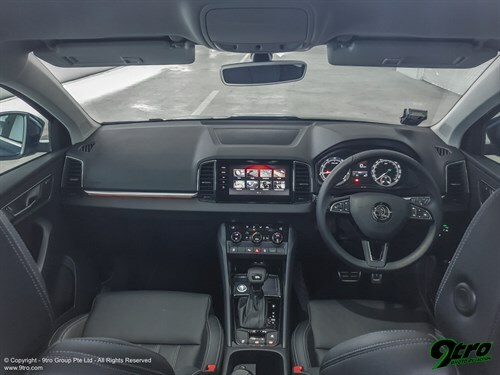 The Karoq’s dashboard layout is straightforward and laid out sensibly with ultra-clear and intuitive buttons, switches and instrument read-outs. The centre console is home to an 8-inch touchscreen infotainment system that packs just about everything you would come to expect nowadays. The screen itself is glass-fronted with clear and sharp graphics, the interface was easy to navigate and highly responsive too. Rear passengers on the other hand also get their own air-conditioning vents and tablet holders built into the backs of the front seats, handy when it comes to keeping the kids entertained for long trips. 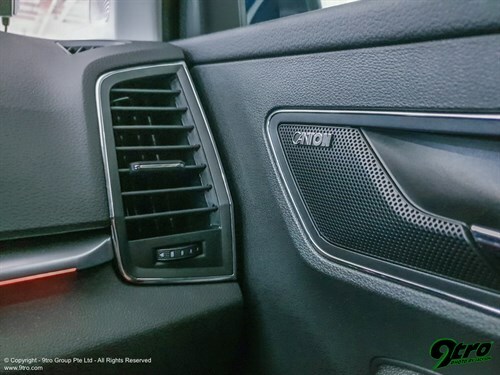 Our test unit came with the optional 550W Canton system with 10 speakers and just like the one in the Kodiaq, the staging and quality is absolutely spot-on! 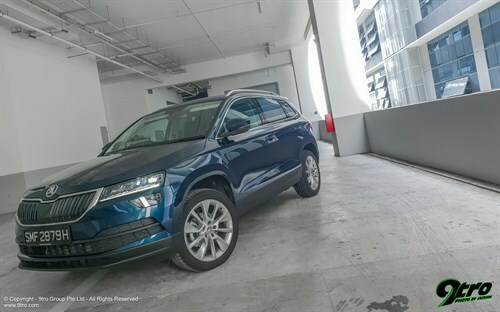 For a compact crossover, the Karoq is actually one of the biggest in its class as front and rear passengers get ample amounts of head, shoulder and legroom. Its rear-door openings are particularly large to aid in helping the driver fit child seats and other large items easily. Practicality wise, there is a ton of storage spaces on board, there are big door bins, cubby holes all around plus a storage box and an umbrella under the passenger’s seat - that’s Skoda for you! Another feather in the Karoq’s hat is the flexibility of its VarioFlex seats, they split evenly rather than 60/40 - ideal for carrying long loads and rear passengers - they also slide, recline, fold flat and if you really need even more space all three seats can be individually removed to turn the Karoq into a mini van (cue: Yeti). Boot space too is relatively large and should swallow three large suitcases with ease and if that’s not enough, Skoda has included a detachable torchlight on the left side wall, hooks on either ends as well as velcro-fastened floor stands that promise to keep loose items from rolling about; on top of the cargo net! 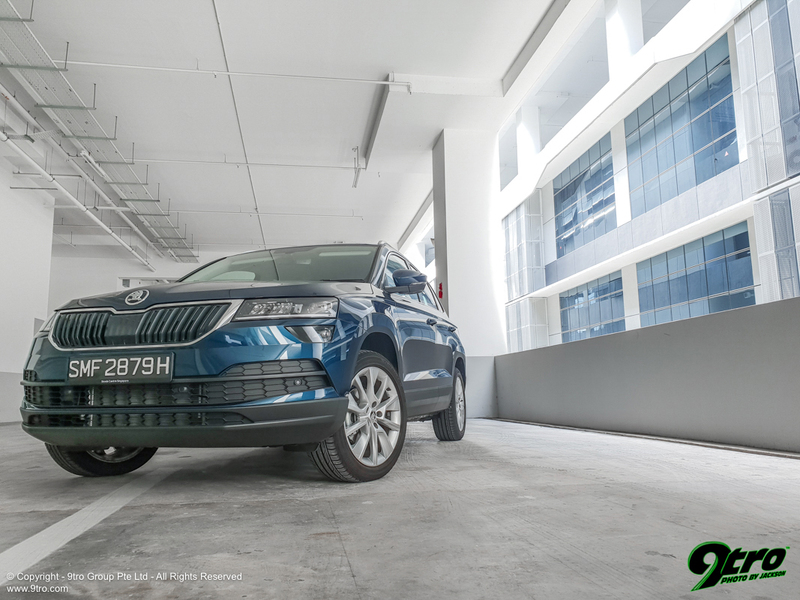 So there you have it, if you are in the market for a really good compact family-focused crossover, the Skoda Karoq presents an exceptionally strong case. It offers amazing comfort, impressive practicality while possessing a smart looking exterior and a well put-together cabin.